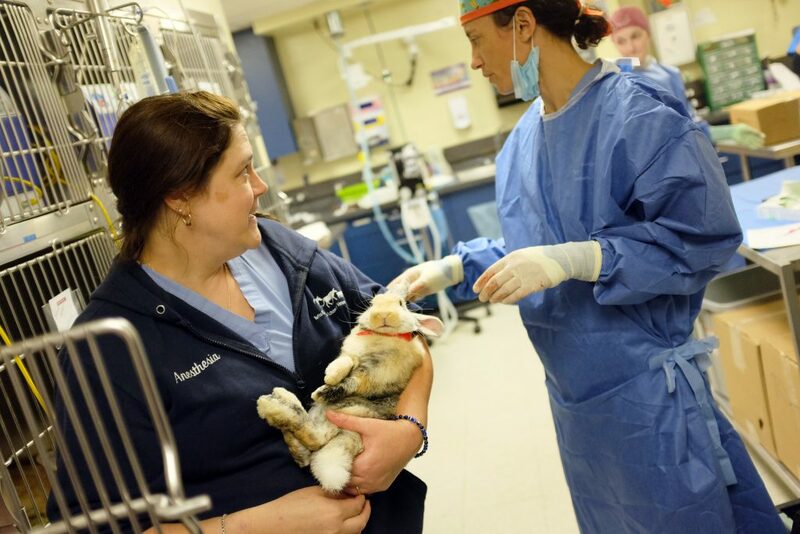 The Luke and Lily Lerner Spay/Neuter Clinic (LSNC) provides students at Cummings School of Veterinary Medicine at Tufts University with opportunities for surgical training while serving pets in need. In order to qualify for services at the Luke and Lily Lerner Spay/Neuter Clinic, a shelter or rescue organization must submit proof of 501(c)(3) status or be a town or city animal control office. In most cases, private owners must have been referred from a low-cost assistance program (such as the Massachusetts Spay/Neuter Assistance Program) in order to qualify for services. Payment for services is due when the animal is picked up. The Lerner Spay/Neuter Clinic accepts cash only. Billing arrangements can be made only for our regular shelter clients. Services for the Junior Spay Lab and Feral Cat Clinic are free of charge. All other services involve a fee, as listed below for your convenience.